I love milkshakes. If I’ve done something to help you out, a fantastic way for you to reward me would be to take me out for a milkshake (I’m not saying you have to do anything, but if you wanted to, a milkshake would be a great way thing to do). Now let’s assume you have done something to help me out. If I follow the Golden Rule, then I would take you out for a milkshake. But what if you don’t like milkshakes? What if you’re lactose intolerant and a milkshake will only make you feel sick. Is that a great reward? 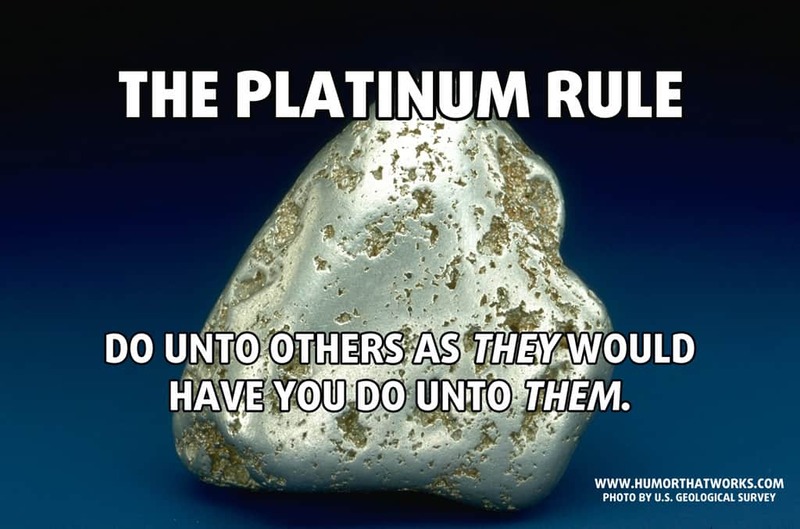 That’s the problem with the Golden Rule: it assumes that other people want to be treated the way you want to be treated. There’s a chance they don’t.